Just when I thought it couldn't get any better, Oasis managed it. 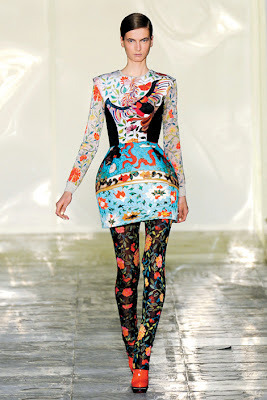 I've been after a Mary Katrantzou themed dress for so long; even her collaboration with Topshop is unavailable to anyone not famous (typical of the brand, and very annoying). However, I can lick my wounds over the road at Oasis with this gorgeous dress - in lovely purple tones. This really does have the X Factor, you'd stand out from the crowd in and look incredibly know-how in terms of your designers - I bet my bottom dollar you'll have people asking if it's designer! This dress isn't in store yet, but keep an eye on their website here to order. Omg I love the collection especially the last dress! Whaaaat, I've literally JUST written a post saying exactly the same! Haha, great minds think alike!! The dress is available on the website now! that last dress is so pretty!!! thanks for following me, now following back. 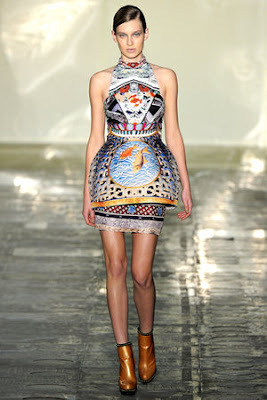 i agree- i love this dress; simply stunning! and don't get me started on top shop- in my opinion it might as well up its prices and become designer since it's certainly not there for the average cutomer now! great post!! love the collection. Amazing dresses, I’m speechless really, I love all the pieces and it’s hard to decide which my favorite is, but I think that the last one is so unique, I adore it. You have a lovely blog and I am a new follower! Hope you will like my blog and follow back!